MES provides its customers with effective network solutions to help them maintain the success of their business. 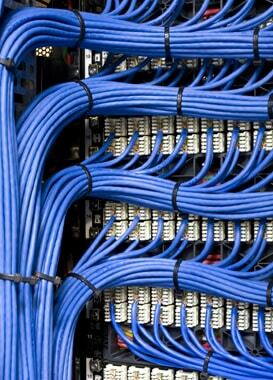 We install voice and data cabling for any retail or commercial location. Whether you need a complete infra-structure system or simply the addition of a new work station, we perform all sizes of network projects with top quality service. All termination points are properly Identified, Labeled and Certified with printable reports. We have both low voltage and electrical licenses in all of our service regions.